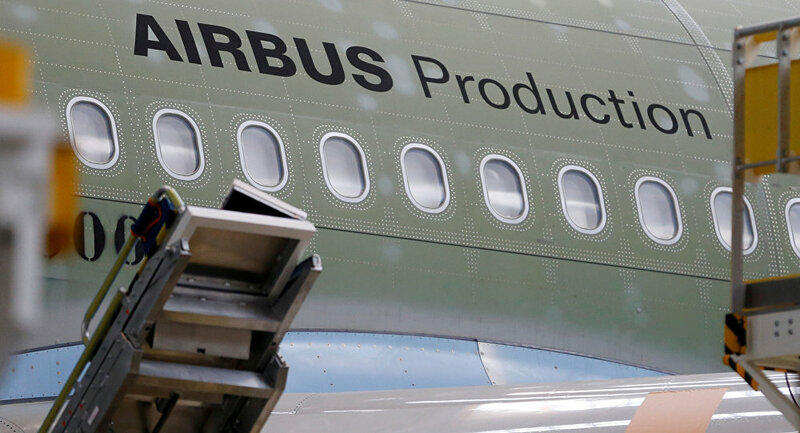 European aircraft manufacturer Airbus cautioned on Thursday it could move its wing-building operations out of the UK in the event of "potentially very harmful decisions" caused by a no-deal Brexit, the firm's CEO said in a strong warning to the UK. "The UK's aerospace sector now stands at the precipice," Mr. Enders said in a video statement on the company's website. "If there is a no-deal Brexit, we at Airbus will have to make potentially very harmful decisions for the UK." Airbus is the world's second-largest aerospace firm, which employs 14,000 people across Britain, including 6,000 at its wing-making plant in Broughton, Wales and 3,000 at its Filton plant near Bristol. Naysayers arguing against previous Airbus warnings have said the European firm should remain in Broughton due to the plant's efficiency and the benefits of a weak sterling. But Mr. Enders said that he was not bluffing. "Please don't listen to the Brexiteers' madness which asserts that, because we have huge plants here, we will not move and we will always be here," Mr. Enders said. "They are wrong." "Of course, it is not possible to pick up and move our large UK factories to other parts of the world immediately," he said. "However, aerospace is a long-term business and we could be forced to re-direct future investments in the event of a no-deal Brexit. "And make no mistake there are plenty of countries out there who would love to build the wings for Airbus aircraft." Airbus has been working on wing technologies for a successor to the A320 narrow-body series, one of the firm's biggest-selling models, which is expected to begin flights in 2030, requiring at least a decade to shift wing production to other countries. However, the company could consider countries like Japan, South Korea, or the US to host new production plants, executives said, due to a growing industrial footprint. Chancellor Hammond reiterated his pledges in a speech at the World Economic Forum in Davos, Switzerland, in addition to urging businesses to invest in Britain after Brexit. A major exodus of UK firms has plagued British markets, most recently with Dyson CEO Jim Rowan announcing on Tuesday he would move operations to Singapore to focus on its presence in Asian markets. Jaguar Land Rover, Groupe PSA, Renault-Nissan, Toyota, Honda and others have also threatened to leave the UK if a hard Brexit leaves them without access to the single European customs market.